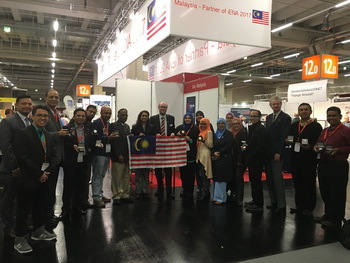 By Fadzli Ramli MELAKA (Bernama) -- Mohd Arif Christopher Bell, 61, arrived in Malaysia in 1977, along with 76 other volunteer English teachers from University of Sussex in Brighton, United Kingdom. While the rest returned home after their teaching stint, Bell decided to stay back and even master the Malay language, a language that he now speaks fluently. 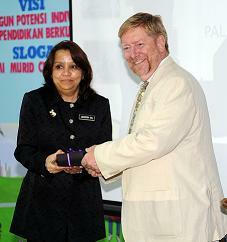 KUALA LUMPUR -- The Integrity Circle of Champions Club (ICCC) in collaboration with the Malaysian Institute of Integrity (IIM) last month organised a programme in conjunction with Malaysia’s 57th Independence Day under the theme of 'Integrity & Patriotism : Building the True Identity Of Our Youth'. 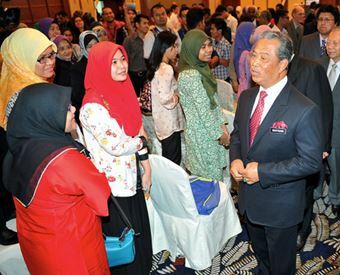 PUTRAJAYA, Sept 9 (Bernama) -- The government will carry out Malay Language (BM) Audit Programme in six public institutions of higher learning (IPTA) starting from middle of this month till October, Deputy Prime Minister Tan Sri Muhyiddin Yassin said. 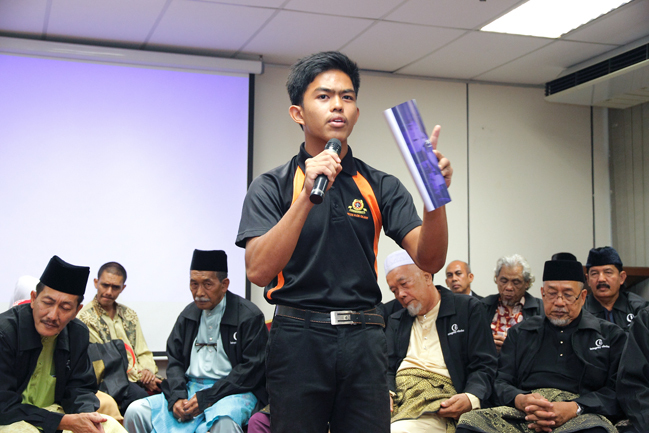 CYBERJAYA, Sept 2 (Bernama) -- A new policy is on the card to make English a compulsory subject, besides Bahasa Melayu, for students to pass at Malaysia's public universities. By Hasnah Jusid KUALA LUMPUR, Aug 26 (Bernama) -- The late Ng Shi Ing, a Universiti Malaysia Sabah (UMS) lecturer who died in the Malaysia Airlines (MAS) Flight MH17 crash, will always be remembered by many of her students as a good educator who imparted knowledge beyond the textbooks. KUALA LUMPUR, Aug 23 -- Universiti Teknologi PETRONAS (UTP) has recently organised a networking event for its Master of Business Administration in Energy Management (MBA-EM) programme scholars.